Olympus Master for Windows 10 - A proprietary utility from Olympus for transferring and editing images from cameras. It will run every time you connect your device to a PC and suggest actions available. 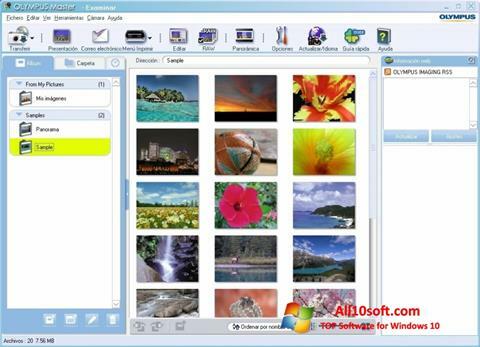 The user can choose to import photos from the camera, optical disc, folder. Image processing is basic, but it can be useful if there are no obvious defects and a small correction is required. You can crop the photo around the edges, get rid of the red-eye effect, adjust the brightness, contrast. There is a correction of portraits and RAW-format. You can free download Olympus Master official latest version for Windows 10 in English. Publisher Software: Olympus America Inc.